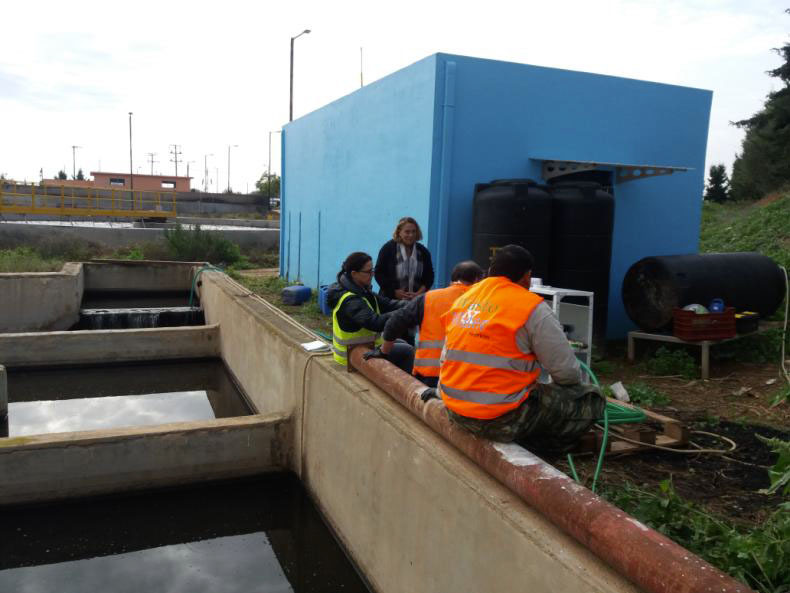 CLAIM partners HCMR and Waste et Water SARL completed the first sampling of microplastic at the Megara Waste Water Treatment Plant. The sampling took place in December 2018 and the overall results demonstrate the successful implementation of the followed method. The device is one of 5 CLAIM technologies which are currently being developed to reflect the urgent need of sustainable and effective cleaning and monitoring devices to help us tackle ocean plastic pollution. Within the bigger picture of CLAIM the pre-filtration system is placed before the Photocatalytic device in order to retain larger plastics and ensures the smooth functioning of the photocatalytic coatings at a later stage. The system will gather the plastic pieces into a specialized bag inside a cartridge, while simultaneously taking two samplers (before filtration and after nanocoating devise), to measure effectiveness and inform new strategies. – to assess the quantities of microplastics that end up in the sea, as wastewater treatment plant effluent. 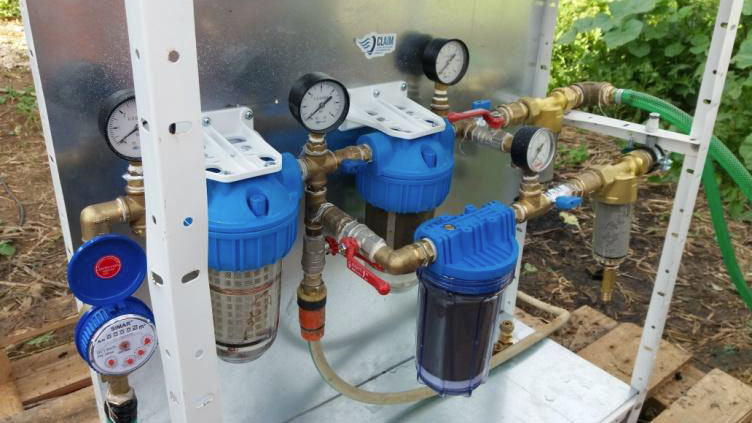 For this purpose, 3 cartridge filters were used in line with filtration range of 1500 μm, 70 μm and 30 μm to hold microplastics. The filter arrangement consisted of two parallel streams (70μm + 30μm in line) with a common wastewater supply, prefiltered by the common filter of 1500 μm. The 70 μm and 30 μm cartridges filters are constructed from stainless steel and are certified for the nominal permissible cross section of the solids. 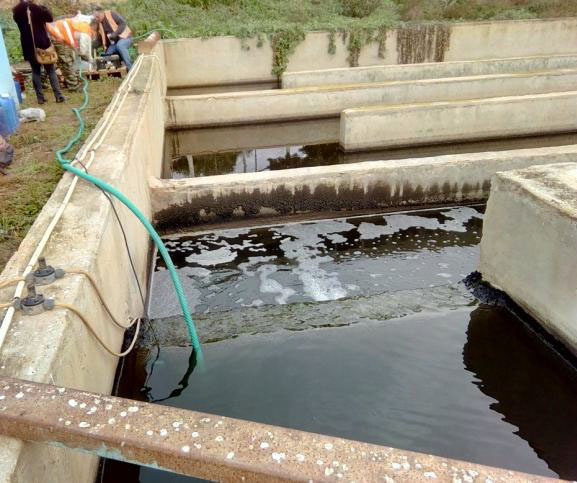 During the testing total of 5,300 L of waste has passed through the sampling system. From the first branch, 4000 L of wastewater treatment plant effluent has been filtered and their cartridges, one 70 μm and one 30 μm, have been shipped to Dr. Dutta’s team at KTH Royal Institute of Technology, Sweden, for analysis. Within this task the design and construction of the sampling device was from HCMR and the implementation was from Waste et Water SARL.